I’ve always found editing to be the best part of the writing process. It’s a chance to take the words you’ve just vomited onto a piece of paper and transform them into a thing of beauty. Or at the very least, a thing that makes sense. Recently I was talking about editing with someone and a thought struck me. 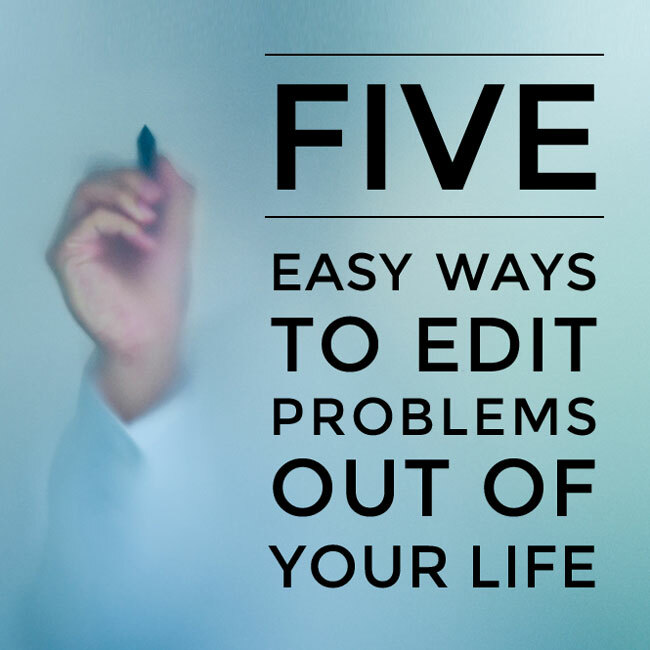 In the same way we edit our written pieces to eliminate problems and make things clearer, so to can we edit our lives. Here are five tips for cutting out the things that just don’t ‘work’ in order to achieve an amazing level of life clarity. If you’ve written 1000 words, I’ll guarantee you can safely chop 200 of them. By trimming 20%, everything will seem a lot clearer and your message will really make itself heard. In life, it’s safe to say that many problems arise from over-committing. If you cut back your commitments by 20% all of the sudden many of your problems will evaporate and your true priorities will get the attention they deserve. The best thing you can do for a piece of writing is walk away from it and let it sit for a day or two. When you go back to it, any errors or necessary omissions will suddenly become super-obvious and any holes that need filling will become super-clear. Most of life’s problems will benefit from this approach. We can achieve so much more clarity around a situation once we’ve decided to ‘sleep on it’ and/or put some emotional distance between it and us. When reading something our eyes see what should be there rather than what is actually there. That’s why it’s always best to get a fresh set of eyes to give a piece a final once-over. Those eyes will always see the stuff you’ve missed. This is why talking a problem over with a friend is so useful. Their fresh perspective on your issue will enable you to come up with a more innovative and elegant solution to your problem. When writing a piece it is sometimes hard to stay relentlessly on topic. We want to insert clever asides or random thoughts that tickle our fancy – especially in the middle of a piece when our attention starts to wane. But any little diversion from topic means the reader might lose their way … and ultimately their interest. This is perhaps one of the hardest thing to do in life when problems arise or obstacles present themselves: stay the course. This is when we’re most easily distracted by bright, shiny objects and veer way off course. It’s at times like these that we need to stop, remember what our stated life priorities are, and return to them instead of racing off chasing ‘opportunities’ that end up fizzling into nothing. Tip 5: What’s the payoff? With every piece of writing there needs to be a payoff. There is so much stuff competing for the attention of readers – if they have chosen to use their time to read your words, then you’d best be making it worth their while. To truly tackle a problem head on you need to know there is a payoff at the end. Else why would you waste your time and energy trying to solve that problem? And if there is no payoff? Well if it was a piece of writing you would discard it. You wouldn’t waste any more of your precious energy on it. Some problems in life deserve the same treatment. If you are spending time and energy tackling an unresolvable issue, or one which won’t give you any signification payoff (like say, trying to fix a toxic friendship) then you need to walk away and wash your hands of it. So tell me, now you know the above, is there anything you can edit from your life today? Bloggers, why don’t you link up your favourite post from the week just gone (it doesn’t matter which of us you link up at, your post will be visible on all of our sites). 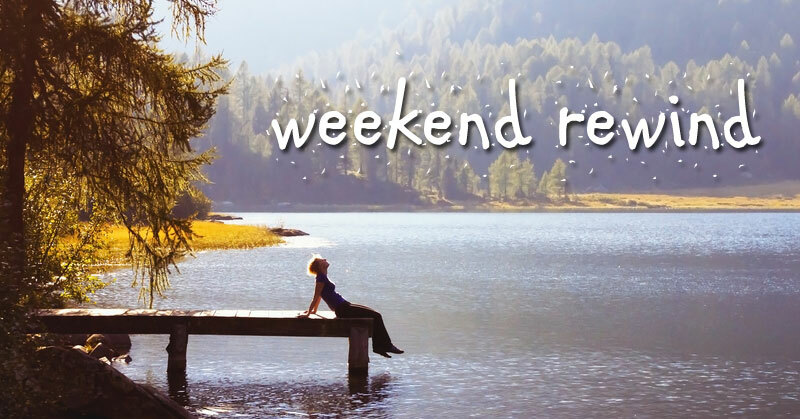 Readers, why not check out some awesome blogs you may not have come across before.